Joseph Finder's New York Times bestseller Paranoia was hailed by critics as "jet-propelled," the "Page Turner of the Year," and "the archetype of the thriller in its contemporary form." Now Finder returns with Company Man - a heart-stopping thriller about ambition, betrayal, and the price of secrets. Nick Conover is the CEO of a major corporation, a local boy made good, and once the most admired man in a company town. But that was before the layoffs. When a faceless stalker menaces his family, Nick, a single father of two since the recent death of his wife, finds that the gated community they live in is no protection at all. He decides to take action, a tragedy ensues - and immediately his life spirals out of control. At work, Nick begins to uncover a conspiracy against him, involving some of his closest colleagues. He doesn't know who he can trust - including the brilliant, troubled new woman in his life. Meanwhile, his actions are being probed by a homicide detective named Audrey Rhimes, a relentless investigator with a strong sense of morality - and her own, very personal reason for pursuing Nick Conover. With everything he cares about in the balance, Nick discovers strengths he never knew he had. His enemies don't realize how hard he'll fight to save his company. And nobody knows how far he'll go to protect his family. 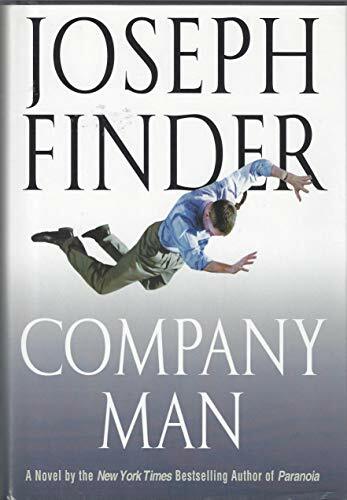 Mesmerizing and psychologically astute, Company Man is Joseph Finder's most compelling and original novel yet.